There’s a certain toughness that comes with playing high school hockey in northwestern Minnesota and it’s certainly in no short supply in Thief River Falls’ senior Micah Ranum. 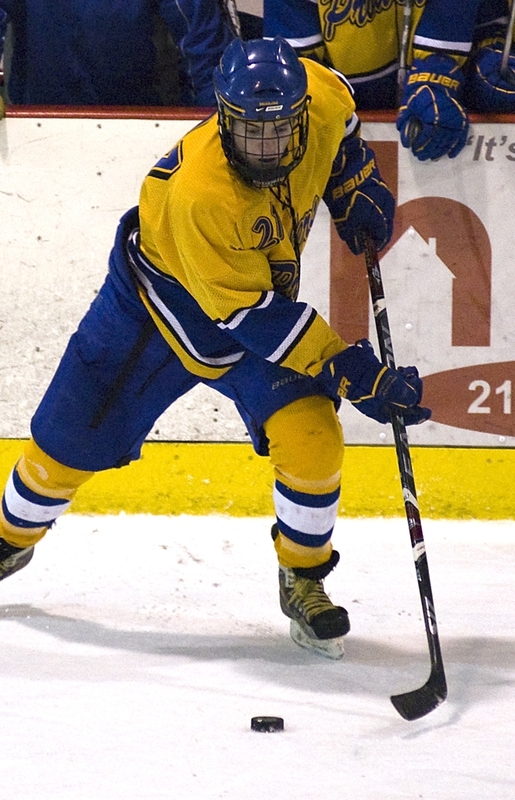 The self-described power forward leads the Prowlers in scoring again this winter (14 goals, 16 assists, 30 points through 16 games) after scoring a team-best 24 goals as a junior. We caught up with Ranum recently to ask him about the Prowlers’ chances in Section 8A this winter, his training routine for hockey and playing a high school football game through the threat of polar bear attacks. Question: You graduated a terrific All-State goaltender in Zane Gothberg and some other key players from last year's team. Will that change the way your team prepares for games this year, and if so, how? What additional responsibilities might you have to take on? Answer: I believe it puts more pressure on our goalies for this year having high expectations after having a hockey player like Zane. Everyone has to pick up their own game to try and make up for what we lost last year, but we also have many experienced players who have worked hard to step it up and some new guys to be able to advance from where we ended up last year. Everybody has a goal of making the state tournament this year. My co-captain, Matt Audette, is sidelined with an injury, but he still a leader off-ice and he have to lead with my effort on-ice. Q: Give me a short scouting report on yourself as a player. What are your strengths? A: I am a power type forward, my speed and strength gets me to the net and keeps me there. It allows me to be a physical presence in all ends of the rink. Q: What kind of training do you do for hockey, both in- and off-season, and how has that improved your game? A: I have trained at Alaska Acceleration in Anchorage, the National Strength and Conditioning Association in Colorado Springs and an off season strength, plyo's, agilities, treadmill and skills program with NHL veteran and my head coach, Tim Bergland. Our football program has a big strength program and long hockey practice times allow on ice training and conditioning with a lighter off-ice strength program. This helped me develop my speed and coordination as I grew. Q: What other activities are you involved with in high school? A: Through high school I have be a part of many activities. I have played hockey, football and golf and I’m in the National Honor Society and even moderated a debate between Minnesota Secretary of State candidates (Mark) Ritchie and (Dan) Severson. I also get to attend, support and be part of the student section at a host of other boys and girls activities and sports. Q: Do you have opportunities to continue playing hockey beyond high school, and if so, who has been in contact with you? A: I plan on playing juniors after high school, but I don’t like to talk about the future. I’ve seen it become a distraction and I am keeping my focus on this year and getting to state with my team before I worry about where I am next year. Q: What's the best part of playing high school hockey and why? A: Having the whole community behind us and a large crowd at every home game. There is nothing like a town that loves hockey and backs it up like we do in Minnesota. Q: Tell me about the outlook for your team this year. Why will you have a good season? A: We have a great opportunity to make State this year. We have many solid returning players at all positions who worked hard through the summer all with the same goal: win sections and then state. Q: Can you tell us one unusual thing about yourself that others may not know? A: While living away from Thief River in Alaska for four years I played in the first ever football playoff game north of the Arctic Circle in Barrow, Alaska. The field was next to the Arctic Ocean and there were guards present for fear of polar bears. Q: I'm curious about that Alaskan football game. Can you give me some more background? A: Well it was my previous high school, and in my sophomore year I played football for the Houston Hawks. We had lost a three-way tie in a coin flip and had to travel to the farthest north point in the United States, Barrow, Alaska. So we played in about zero degree weather on a snow-covered field in a blizzard right off the Arctic Ocean that kept the snow blowing in your eyes and our punts backwards over our heads and the kicks way through the end zone. Their cheerleaders were in fur jackets and seal-skin boots. They had gunmen around the field in case of polar bears. The Anchorage newspaper had a picture of a polar bear chewing on the fence outside the field just a few days prior. Through all of that mess we ended up losing, but it made for an experience I will never forget. 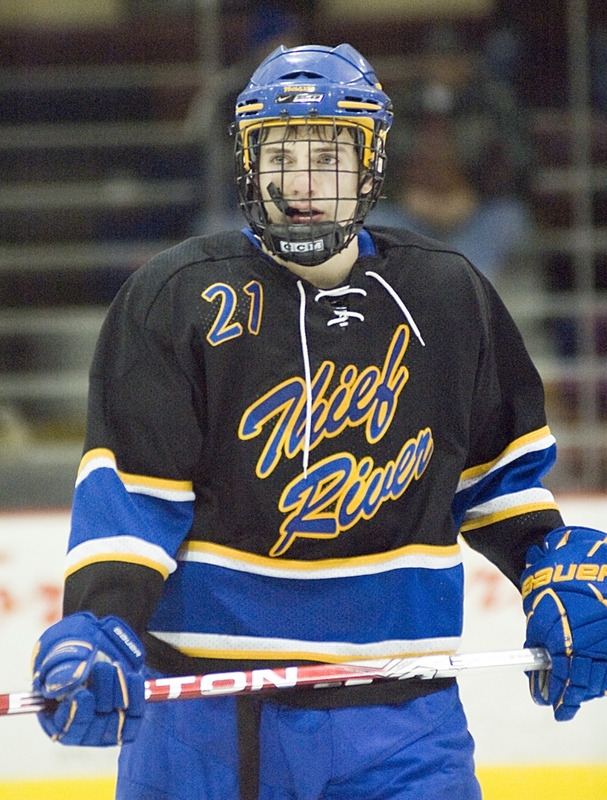 Credentials: Ranum led Thief River Falls in goals scored with 24 last season as a junior and currently leads the Prowlers in scoring with 30 points - 14 goals, 16, assists - through 16 games (as of Jan. 25). 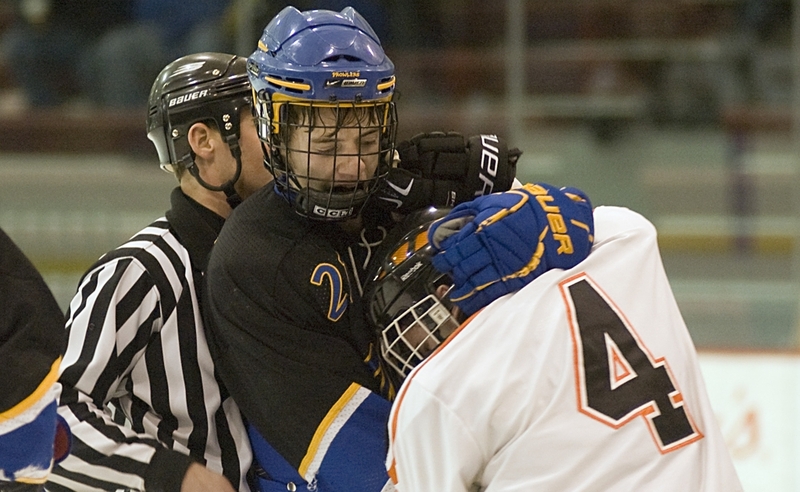 Ranum played on Great Plains of the Upper Midwest High School Elite Hockey League last fall.